UPDATE: Since moving my website from Wordpress to Squarespace, this post has been updated. Should I choose Squarespace or Wordpress? I like Squarespace- it's easy to use and the themes are clean and gorgeous. But I've heard a lot of people use Wordpress and it's apparently the better option. Help? Both are fantastic website builders, but I'd like to point out that every business owner is different. Just because Squarespace or Wordpress works for someone else, doesn't mean it's the best fit for you. The only way you can decide which platform is the right one for you is by doing your research and testing them both. Wordpress is an open source platform, which means that you or your web developer can customize their codes and make your website truly unique. Squarespace isn't an open source platform, which stops a lot of people from using it. But if you sign up for the Professional package (which most users go for) you get access to the developers platform, which allows you to make changes to your website's html etc. 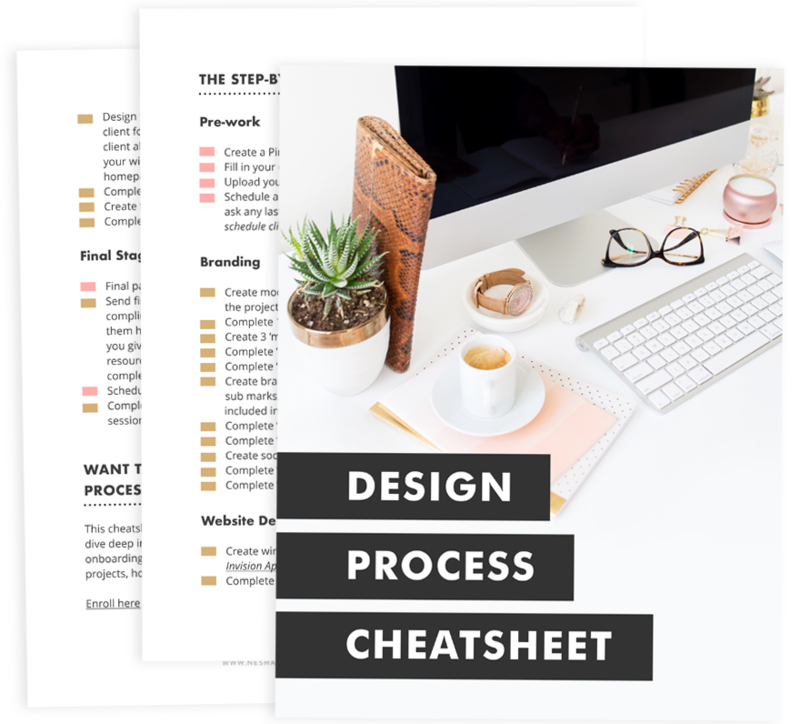 There are thousands of themes available for Wordpress users, so you have a lot more choice on what your website looks like. Choice is great! But you have to be careful what theme you choose- some are coded awfully and don't offer any kind of customer support when things go wrong. Squarespace doesn't offer hundreds of themes. But because the Squarespace team have focused on their select variety of themes, they are coded amazingly and are constantly being updated. Wordpress is fairly easy to use, but it takes a bit of getting used to when you first join. For instance, you need to learn what plugins, themes, child themes and widgets are. Because of its limited flexibility, Squarespace is really easy and simple to use. It has a drag and drop feature, so you don't have to tweak any code. You just drag a photo or a text block into place. There are lots of Wordpress forums that can help you if you get stuck with anything Wordpress-related, but it can sometimes be difficult to get a correct and quick answer. There are also lots of fantastic books on Wordpress, like this one. Because Squarespace limits it's themes, their team are more in control and can provide great support. In fact, they strive to answer all questions within one hour. Squarespace can cost $96-$288 per year, and they offer a free domain name and free support. Depending on the package you choose, you can end up paying more than you would for a Wordpress website. But if you value simplicity and amazing support, it's worth it. Self-hosted Wordpress is a similar price depending on where you host your website- I recommend Dreamhost. However, you also have to pay for a theme (a one-time payment of about $30-$50) and a domain name (about $10 per year.) You may also end up paying for premium plugins if you really want to. If you're not very tech savvy, you want to be able to maintain your website yourself, and you value simplicity, I'd recommend Squarespace. I use Squarespace for my own website and I love it! I offer a Squarespace website design package if you're interested. However, Wordpress is more flexible and offers thousands of themes and plugins. If you're good with code, or you want things like membership websites, Wordpress is probably best for you. Squarespace offers the option of password-protected pages, but it doesn't allow you to create membership websites like Wordpress does. Choosing a website platform is a personal decision and I'm not telling you which one is best for you; this is just my personal opinion. If you have any questions or you need help choosing the right platform for you, I'd love to help! Just leave a comment on this post. 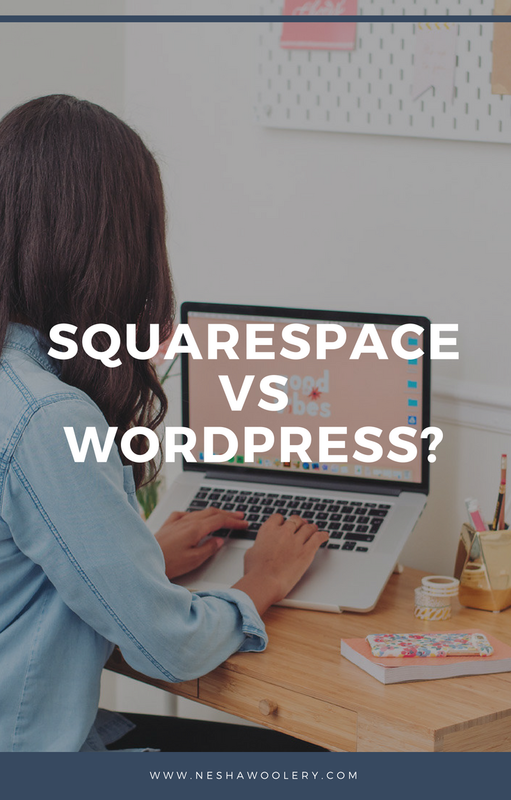 Tell me in a comment- do you prefer Wordpress or Squarespace?